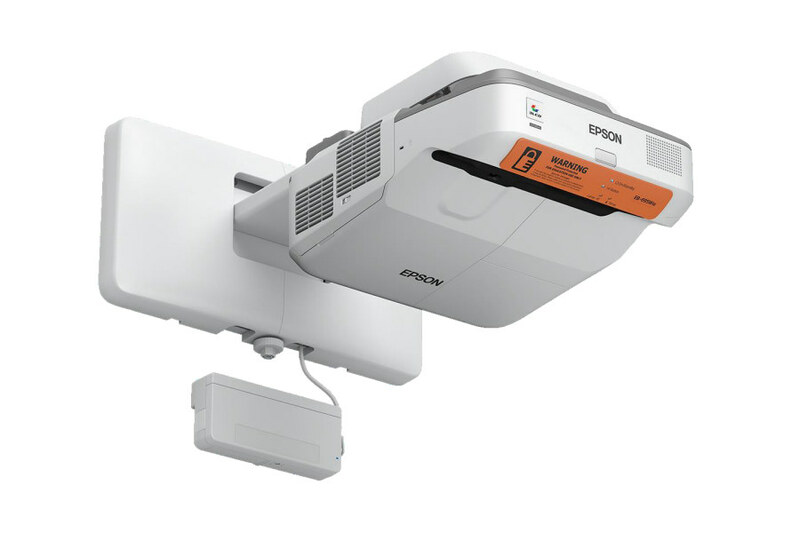 Take classroom collaboration to another level with the Epson EB-695Wie ultra-short throw projectors. 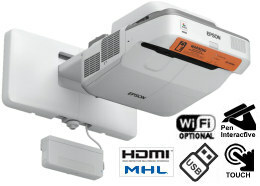 Designed for today’s BYOD classroom, these projectors display 100" images from just 29cm away for optimal visibility. Offering 3x Higher Colour Brightness than competitive models, Epson® 3LCD projectors and displays ensure bright, vivid images. It also features wireless functionality (module sold separately) and advanced connectivity, so teachers can share content from multiple devices, including Chromebooks — up to four at once with Moderator software. Plus, its lamp lasts up to 10,000 hours in ECO Mode. With a brightness of 3,500 lumens and HD-ready WXGA resolution, the EB-695Wie's ultra-short-throw design allows you to present large images from a very short distance with minimised shadows and glare. 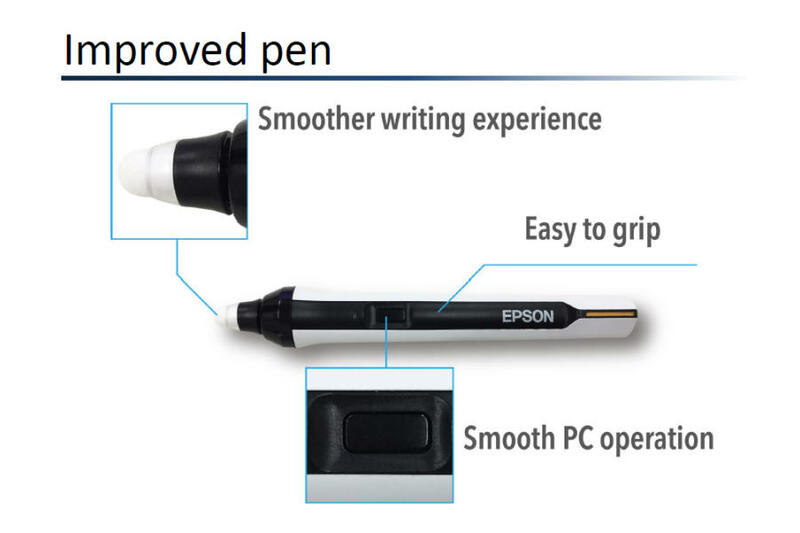 The EB-695WIE projector offers ultimate interactivity by combining finger-touch with dual pen capability. 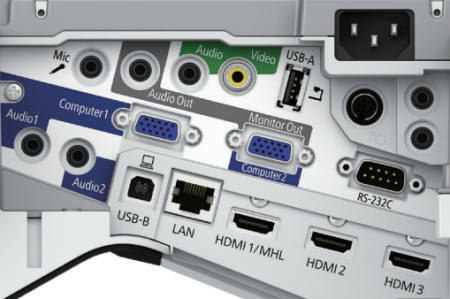 A 14,000:1 contrast ratio and HDMIHDMIHDMI is the interface for full digital transmission of audio and video data. 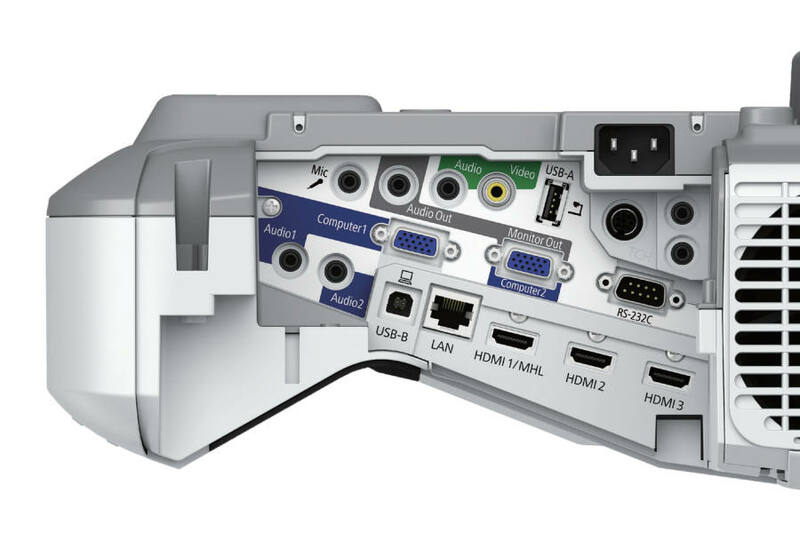 Originally, this type of connection was developed for consumer electronics such as TVs, however, it is now commonly found on desktops, laptops and other modern devices. input mean that students benefit from sharp, clear images. Lamps can blow, if you need your projector working and can't afford down time, you may need to keep a spare lamp. The replacement projector lamp for the Epson EB-695wie is the ELPLP91.